Made with the finest English malts and hops. Maris Otter and crystal malts give this rich mahogany ale mouth watering caramel maltiness. The English Challenger and Kent Golding hops impart herbal flavors and aromas that finish gloriously smooth and mellow. Golden in color with a rich, white head. Aroma rich with orange, citrus and honey. Hop bitterness is mild and in balance with sweet honey malts. Best Light Beer at 2014 Microfestivus. Aroma explodes with citrus hops and does not stop! Hops in the beginning, middle and end. Hopped as much as a double IPA but perfectly balanced with Munich malt to give both hopheads and malt lovers the best of both worlds. 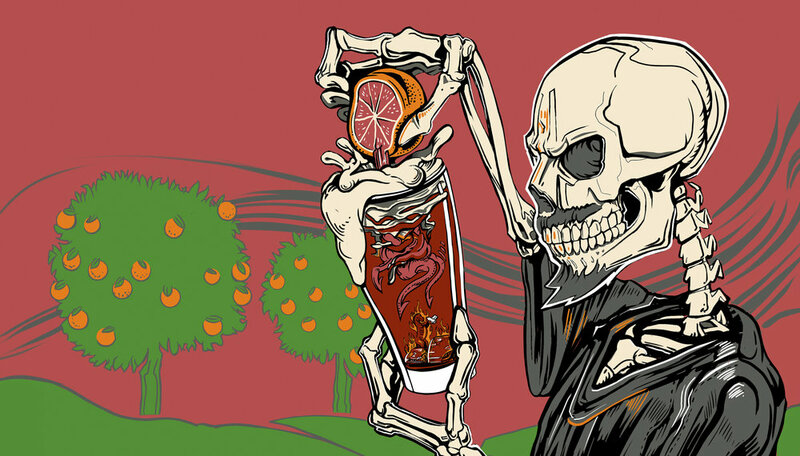 Say no to the bland beer of the past and welcome the future of flavor! Silver Medal 2014 US Open Championship. Gold Medal 2013 US Open International Competition. Silver Medal 2013 VA Craft Brewers Cup. Best of Show 2013 Microfestivus. Our best thirst quencher is an ancient German Wheat style called Gose. Holy Pucker is made to give you a refreshingly tart and dry finish. The 4.5% abv and very low bitterness make this a brew which will have your lips puckering up to your glass for another! Our Key Lime Pie variant is a creation by our brewer who grew up in Florida and loves the REAL key lime pie. We think you will agree that this brew 'gose' great with seafood and gentle breezes, morning, noon or night! A rich sweet chocolate stout fermented with cacao nibs to enhance the rich chocolate presence. Nose includes chocolate, hints of orange, toffee and coffee. Gold Medal 2013 VA Craft Brewers Cup. Grapes are for wine. If you love wine then don’t even think about drinking this beer! Are you a hop head that loves Citra Hops or a malt lover for hearty ales? 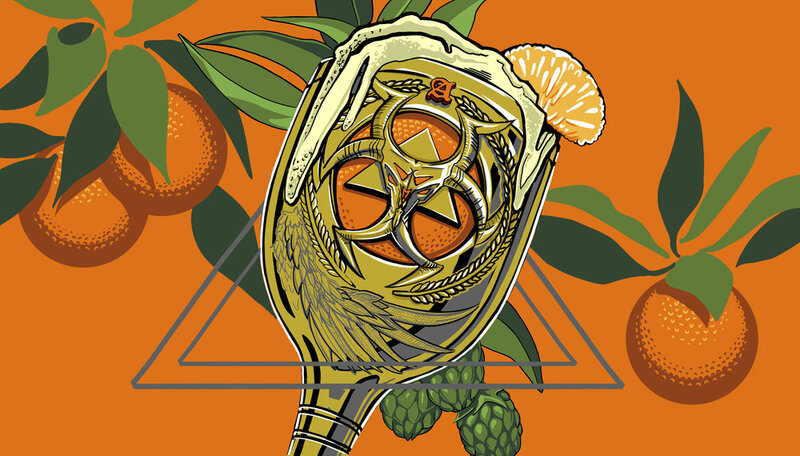 Our international award winning Hoppocalypse is that, but we love grapefruit too! Now dare to enjoy the best of all three worlds. Hops, maltiness, and grapefruit! A spring / summer offering for you thirsty beer lovers only! A smooth Belgian Blonde Ale with aromas of honey, banana, and citrus. Dry hopped with American Citra Hops for a unique blend of Cenful proportions. Enjoy the rich intensity of this English Style Imperial Stout. The finest English maris otter and crystal malts have been mashed with English roasted barley and chocolate malts to exude flavors worthy of a victory of good over evil. Our lamb always conquers the dark side! Our collaboration with Devils Backbone, the Devils Secret is a rare German Ale called Doppel Sticke Ale. The base style is an Alt Beer but like it’s German counterpart, we have jacked up the malts and hops to provide a rich, full bodied dark ale using the finest German caramel and dark malts. The flavors exude dry fruits and toffee with notes of chocolate and raisins. Only the finest German hops are used in ample quantities to balance this rare German ale to perfection! This clean, crisp lager is low on bitterness and just an easy drinking beer. Perfect for enjoying after a good day of hunting, on the beach, at the tailgate or just damn thirsty. If you can relate just say hell yeaah! Our unfiltered IPA epitomizes the classic west coast cariants, that have made IPAs a household name. 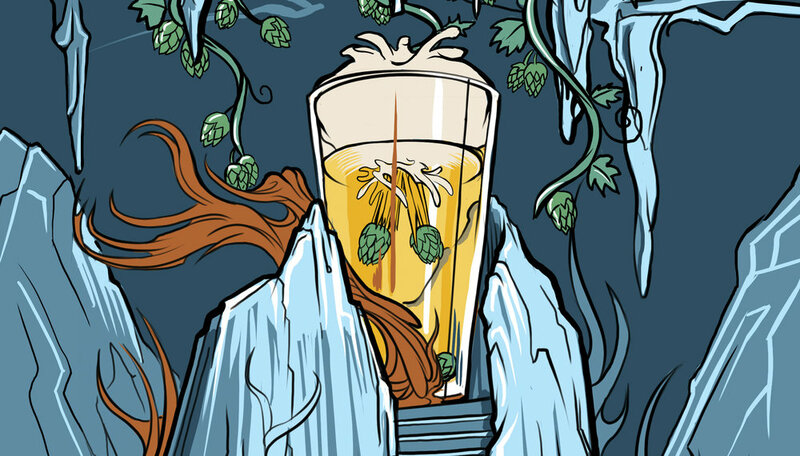 Our hop profile blends Zythos, Citra, Warrior, Mosaic and Galaxy for an aroma that makes hell freeze over!! If you love the classic 6th Seal, then you will love our special offering which uses the same base recipe as the award winning chocolate stout. We have enhanced this with oatmeal, orange peel, raisins, and cinnamon. Of course the cocoa nibs are added to enhance the rich chocolate presence. Enjoy this special winter seasonal as you would any delicious snack. For centuries the Germans have made one of their riches malt bombs and competed in drinking games with doppelbocks. Today we prefer you savor this slowly so you can enjoy every drop. We confess that ONLY German malts, hops and yeast are used. Do you have something on your mind? You might just need a confessor to help you relax! The 6th Seal Imperial Stout is the 6th Seal Chocolate Stout on steroids! This beer has ample quantities of roasted barley and double the hops. It has a more aggresive flavor profile and is deceptively strong. This is a beer that the Czars would fight over. This malty Bavarian Lager is made with the finest German malts and hops. The nature of the lager is bolder in flavor and a little darker in color than your typical German Pilsner. Hop profile is mild with an elegant aroma. BARRk up our tree with this thirst quenching lager. This Scottish Style “Wee Heavy” exhibits three words: BIG, SMOOTH AND MALTY! This ale is deep copper in color with ruby highlights and a creamy head. While you will not pick up any noticeable hop flavor or aroma your tongue will be thrilled with malty sweetness and a hint of smokiness. We take pride in brewing this by classic Scottish brewing techniques that include kettle caramelization and fermentation at 50F degrees for 4 weeks. To be enjoyed with smoked meat, salmon, gouda and swiss with or without a kilt! Gold Medal 2014 Virginia Craft Festival. Our raspberry infused smooth Belgian Blonde Ale with aromas of honey, banana, and citrus. Dry hopped with American Citra Hops for a unique blend of Cenful proportions.